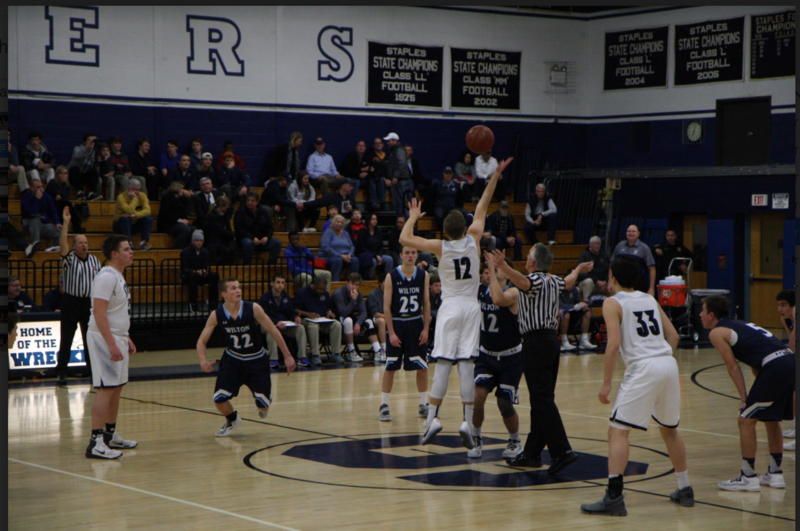 Wilton defeated Staples in boys’ basketball on Thursday, Dec. 29. The game was the championship of the Staples Holiday Classic. The two teams met in last year’s tournament semifinal, and Wilton would go on to win the tournament. Staples guard Justin Seideman was named to the all-tournament team.